After FBI raided the home, office and hotel room of Trump personal lawyer Michael Cohen, White House Press Secretary said President Trump believes he has the power to fire Mueller. 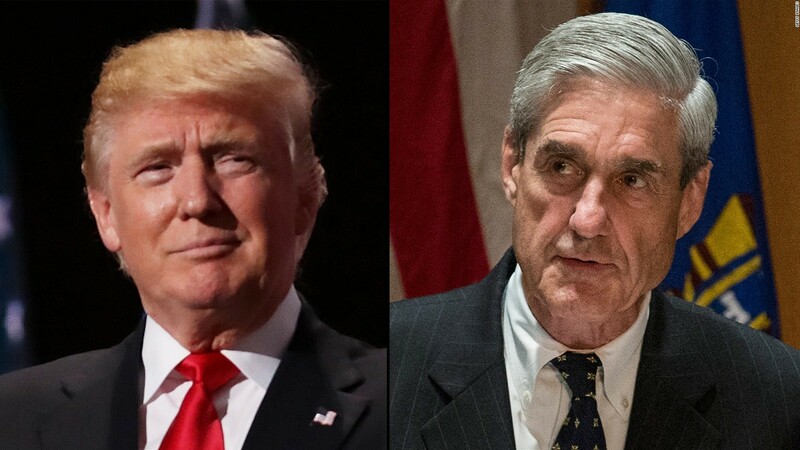 VietPress USA (April 10, 2018): On January 26, 2018, The New York Times reported that President Trump ordered the firing of Special Counsel Robert Mueller last year, only to be dissuaded by White House lawyer Don McGahn, who told him such a blatant disregard for the rule of law would have what the Times called a “catastrophic effect on Mr. Trump’s presidency.” That calculation may have been correct as of June 2017. It is probably no longer true. There is every reason to believe that Trump’s party would continue to defend him regardless of how much justice he obstructs. At the time McGahn gave Trump this grave warning, many Republicans not only supported Mueller, but endorsed legislation to protect the special counsel’s probe in case Trump attempted to fire him. These bipartisan bills seemed to be racing toward passage. But Trump urged Republicans not to pass anything. Soon, the party line was that it simply wasn’t necessary to pass a bill to protect Mueller because there was no risk Trump would ever fire him (http://nymag.com/daily/intelligencer/2018/01/what-happens-to-trump-if-he-fires-robert-mueller.html). But today, The Newsweek reported that President Donald Trump “certainly believes he has the power” to fire Special Counsel Robert Mueller, White House Press Secretary Sarah Huckabee Sanders said during a press briefing on Tuesday. Trump ‘Believes He Has the Power’ to Fire Mueller: Is He Right? President Donald Trump “certainly believes he has the power” to fire Special Counsel Robert Mueller, White House Press Secretary Sarah Huckabee Sanders said during a press briefing on Tuesday. Deputy Attorney General Rod Rosenstein appointed Mueller last May to oversee the FBI’s investigation into Russian meddling in the 2016 presidential election and possible coordination with the Trump campaign. By law, the special counsel can be disciplined or removed “only by the personal action of the attorney general.” That can only happen “for misconduct, dereliction of duty, incapacity, conflict of interest or for other good cause, including violation of departmental policies,” the law states. The attorney general is required to notify the special counsel in writing and cite a specific reason for the removal. The attorney general in this case is Rosenstein, because Attorney General Jeff Sessions recused himself. A Congressional Research Service report from last June clarified further: “To comply with the regulations, the attorney general himself must remove the special counsel, not the president or a surrogate.” The exception is if the attorney general is recused, according to the report, as is the case with Mueller. The report does not clearly clarify that exception, but it likely means only that the acting attorney general would have the power to remove the special counsel. It’s also possible that Sanders was referring to Trump’s authority to request that Rosenstein fire Mueller. But if Rosenstein refuses and Trump fires Rosenstein, oversight of the Mueller probe is supposed to go to another Department of Justice official, according to the agency’s order of succession. Because the associate attorney general position remains without a Senate-approved nominee following Rachel Brand’s resignation, and officials serving in temporary capacities cannot serve as acting attorney general, the solicitor general or one of the several assistant attorneys general would likely become responsible for the probe.